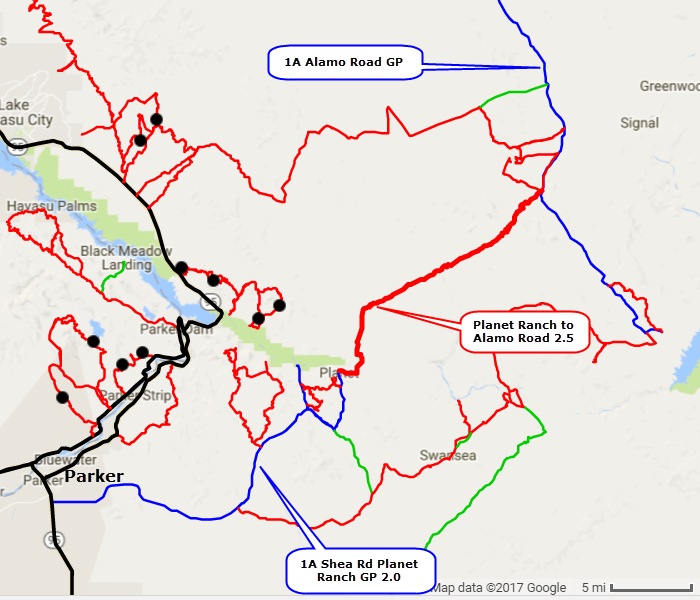 A fairly easy road from Planet Ranch Conservation and Wildlife Area to Alamo Road north of Alamo Lake. 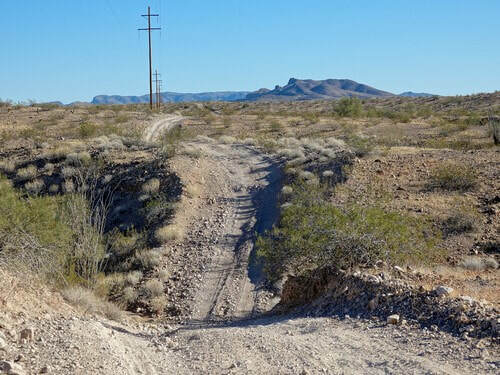 This is mostly an easy road with a few eroded areas entering and leaving washes, and on a couple hills on the eastern end. It is rated 2.5, but it is a weak 2.5. Plan on 2 - 2.5 hours driving time, plus travel time on both ends. It is a long way from major highways. 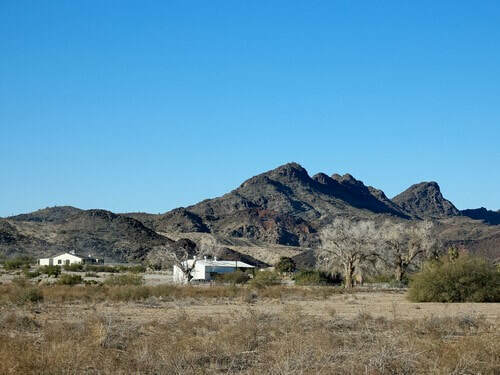 Pass by a few structures associated with ​Planet Ranch Conservation and Wildlife Area then climb out of the river basin and head for Alamo Road. 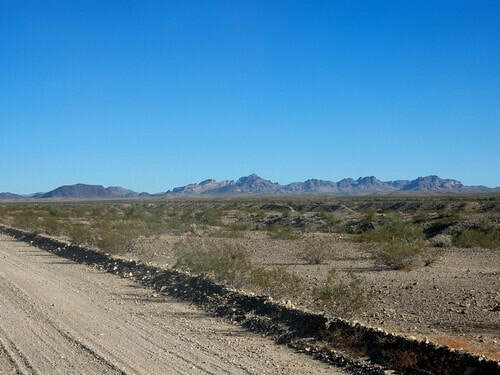 The first 5 miles is a wide graded road above Castaneda Wash. 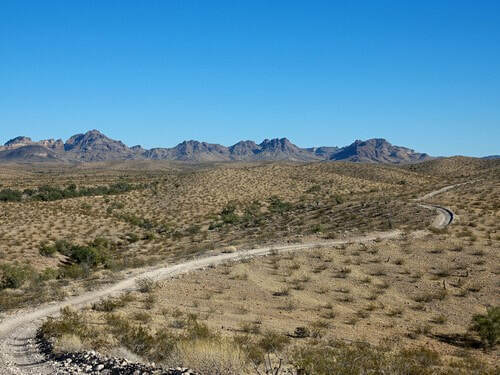 The trail then turns off the wide road and follows along a transmission line for another 16 miles to Alamo Road. 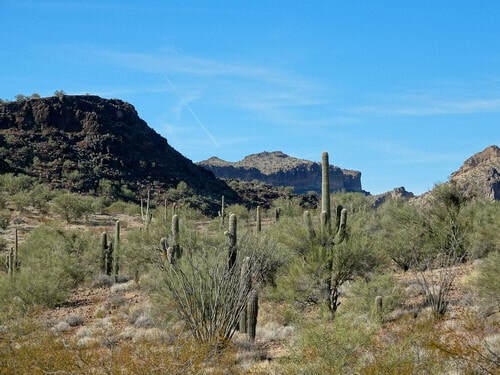 Much of this section is across open desert with distant views of the McCracken Mountains. 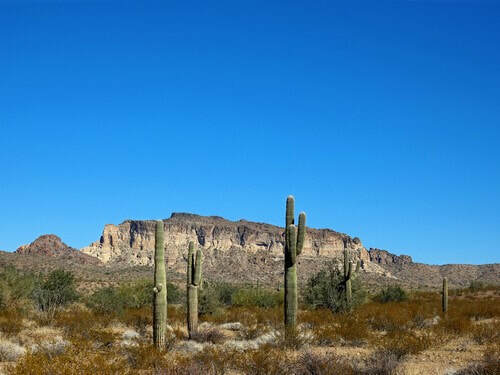 The eastern end is much more interesting as it passes through low hills on the south end of the mountains. Following Alamo Road from the end of this trail is 42 miles to I-40 or about 16 miles to Alamo Lake. 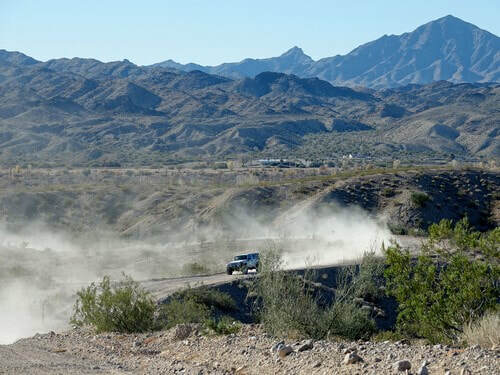 Alamo Road is a wide, well graded road on which you can make very good time.